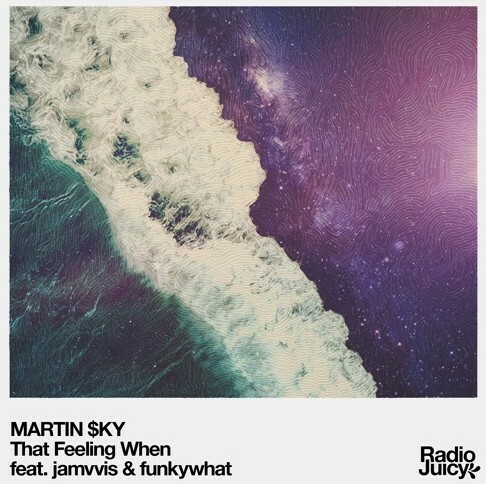 I have been ranting and raving at the pure skills that Martin $ky possess on this website for at least four years now, and he is still out here doing his thing and thriving, and most importantly has returned with his new beat titled “That Feeling When” featuring jamvvis & funkywhat. It’s not often you see producer do collabs together but in this case it came out beautifully, this is a laid back yet enticing offering that anyone can enjoy, but what else can you expect from the young legend Martin at this point? Stream this flawless new instrumental below and if you enjoy it don’t forget to give it a like on Soundcloud.